Dozens of startups are working on lidar, a type of laser sensor that many experts see as essential for fully self-driving cars. In my view, one of the most interesting companies is called Ouster. I first wrote about Ouster back in May, when I explained how it was bucking an industry trend toward fixed “solid state” lidar in favor of the spinning design pioneered by industry leader Velodyne. Because Ouster’s lidar looks so much like Velodyne’s on the outside, I assumed that it looked similar inside, too. 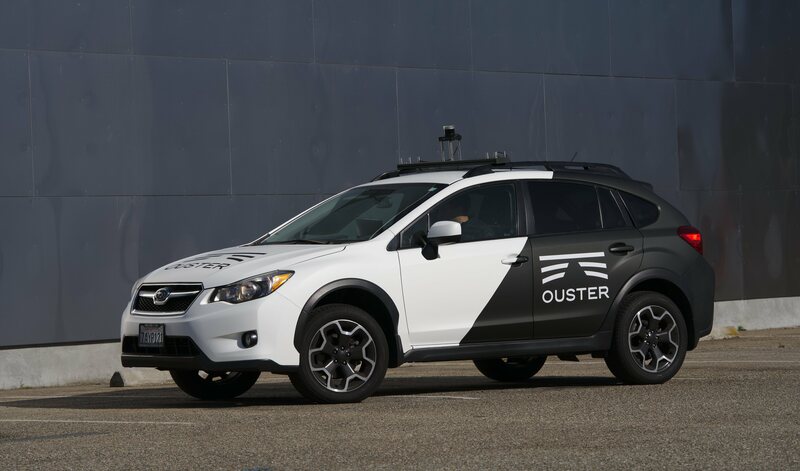 But in a recent interview with Ars Technica, Ouster CEO and co-founder Angus Pacala told me that Ouster’s lidar is actually radically different inside. Patent filings show that Velodyne’s venerable 64-laser lidar has a stack of circuit boards, each connected to an individually packaged laser. By contrast, if you crack open the case of Ouster’s 64-laser unit, you’ll find that all of its 64 laser beams emanate from an integrated circuit not much bigger than a grain of rice.